Click on Destiny Library Manager and it will take you to ISLC's Catalog. Make sure you are spelling correctly! Not near a computer? 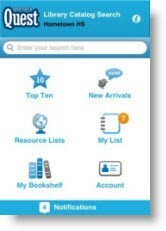 You can search any of our catalogs through the Destiny Quest Mobile App.